Xavier Vignon, the internationally acclaimed oenologist, built his reputation while working as an expert consultant with over 200 Wine Producers. 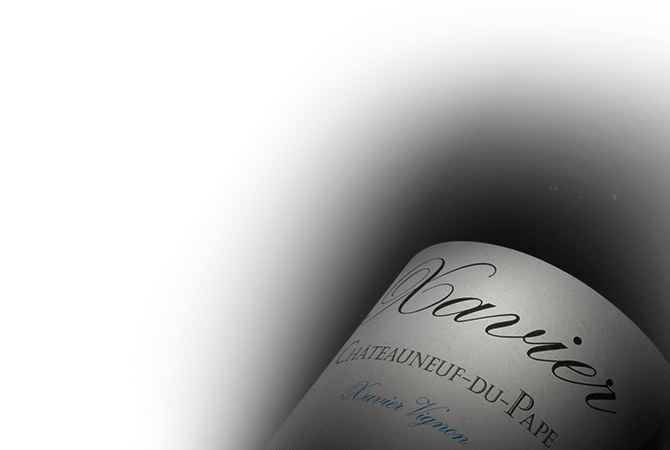 Xavier also participated in the creation of prestigious wines from the Rhone Valley, including Chateauneuf-du-Pape.The "Xavier" brand was created in 2002, and produced vintages developed with the best blends from meticulously selected parcels. Xavier Vignon broke down the barriers of terroir and grape variety to create ideal wines: simple, modern, but mostly of impressive value. Xavier wines are elegant table wines, independent from any appellation. Whether from renowned vineyards or smaller properties, Xavier wines are consistently elegant, balanced, and perfectly represent their appellation.